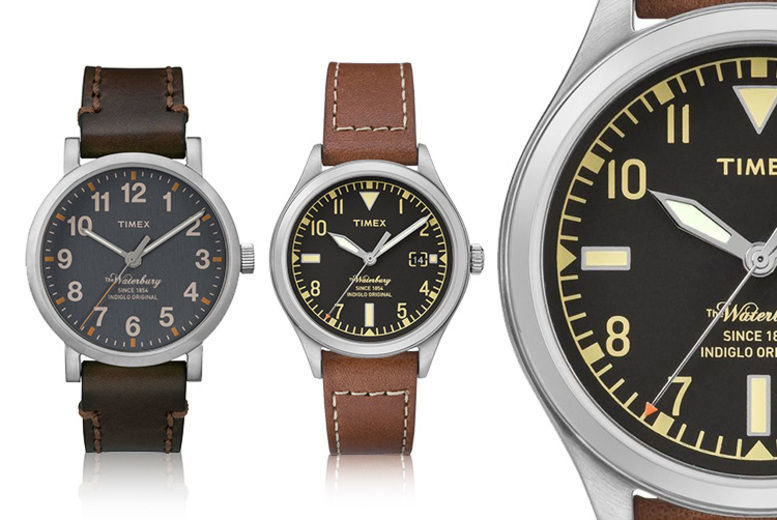 Get a classic ‘Waterbury’ men’s watch from Timex. Choose from two vintage-inspired designs. Each one comes with an Indiglo® night light. Finished off with a stainless steel case and genuine leather strap. Water resistant to up to 50m. Get an elegant watch from Amber Time. 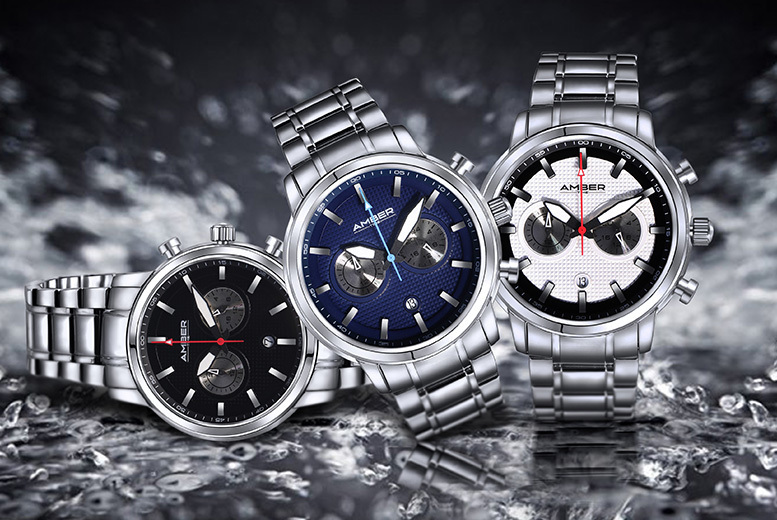 Choose a blue, black or white dial. With luminous hour and minute hands, two silver subdials and date display. Polished stainless steel case and matching band. Comes in a stunning presentation box.